Reference checking is typically considered time-consuming and ineffective. However this is generally because companies adopt the wrong approach. Recruitment Genius strongly advise collecting verbal references over the telephone, rather than written or email: on the telephone you are able to dig deeper into the applicant’s history, which will allow you to make a more informed decision. The reference is also more immediate, thus cutting down on time, and you can gauge the referee’s tone of voice which will give you vital clues about how they really felt about the candidate. 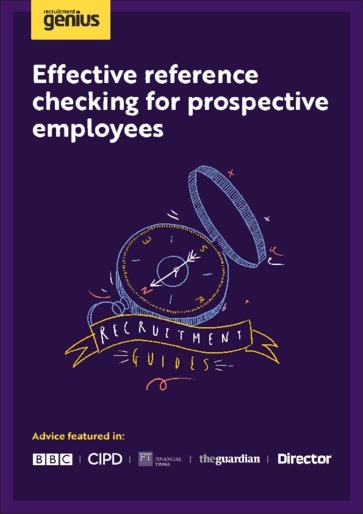 By following this guide, reference checking will assist you in avoiding costly recruitment blunders, will support your selection process with accurate, unbiased information, and will be a useful indicator of the employee’s likely success within your business.